We moved in on May 20th and I unpacked the last one on August 31st. It would have been sooner, but I found the last one hiding in a corner–underneath more boxes that we are keeping for Sarah. We had some wonderful help and a great deal of support in this endeavor from Marie bringing donuts the day of the move to Alice and Bruce keeping food in their freezer to Leslie who helped me (well, I helped him) take a load of over 100 broken-down boxes to the dump, to the gang who helped unpack the first Sunday we were here, as well as others who helped out in those first couple of weeks. 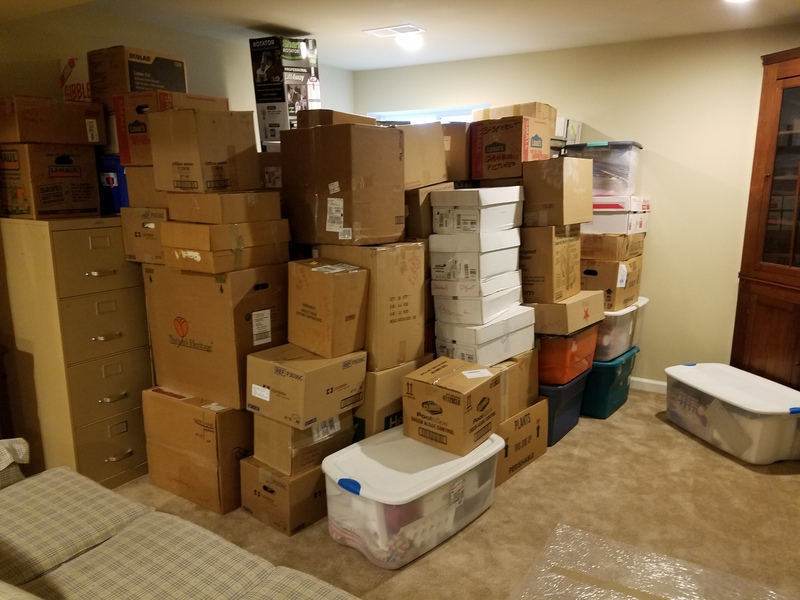 There are still seven or so boxes in Martha’s closet which I’m not counting because they may be unpacked next week or next decade, and so they don’t really count. There are still some pictures to hang and we’re having a deck put on in October. Even as I write this, the electrician is here installing ceiling fans upstairs. It occurs to me, however, that a house is always a work in progress. After all, there is always something to fix, straighten, add, paint, dust, scrub, remove, or rearrange. A home, however, is a different matter. A home is complete, first, when you feel as though you belong in it, and second, when your friends feel free to stop in and use your bathroom and their way home and end up visiting for an hour or more. I’m happy to say that our home is complete. This entry was posted in Life is Interesting, Uncategorized and tagged moving, new home, when is a house a home. Bookmark the permalink. Yay! Looking forward to visiting with you this weekend! Congratulations!! Feels good doesn’t it? Yes, it does! We’re having an open house on Saturday from 2:00-4:00. Stop by if you can. I love your definition of home, Austin …. so sweet. Thanks! The bathroom example actually took place,lol. 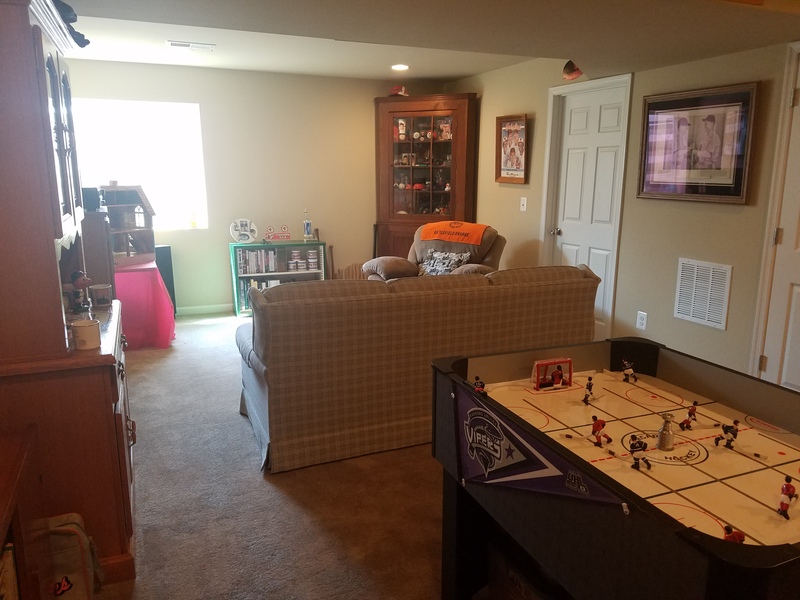 Love the hockey table! Quite an upgrade to the one you had at the house we played at. Feel like playing the Baltimore Clipper fight song now! Love the hockey table! Quite an upgrade to the one we played on at your house many years ago. Makes me feel like playing the Baltimore Clipper fight song right now!